More recent research is overturning old ideas about heifer development and providing ways to reduce costs while maintaining breed-back rates and longevity in the herd. 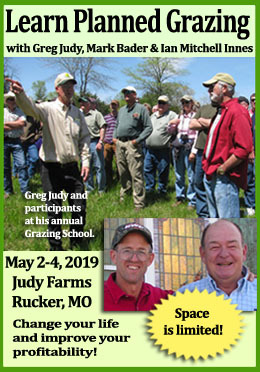 This article comes to us from Aaron L. Berger, Extension Educator, and Rick N. Funston, Beef Reproductive Physiology Specialist, both from University of Nebraska Extension. In the past several decades, post-weaning development of replacement heifers has focused on feeding heifers to reach a target body weight of 60 to 65 percent of mature weight at breeding to achieve acceptable pregnancy rates (85 to 95 percent) in a breeding season that ranges from 45 to 70 days. This development system was based on historical research that indicated heifers bred at approximately 14 months of age should reach this target weight to achieve acceptable pregnancy rates. In an effort to reduce costs, recent research has focused on comparing traditional, more intensive replacement heifer development systems to systems utilizing more inexpensive feed resources to develop heifers to lighter target body weights at breeding (i.e., 50 to 57 percent of mature weight compared with the traditional 60 to 65 percent of mature weight). Research has demonstrated replacement heifers developed to lower target weights — but on a positive plane of nutrition before the breeding season through calving — can have acceptable pregnancy rates and longevity. 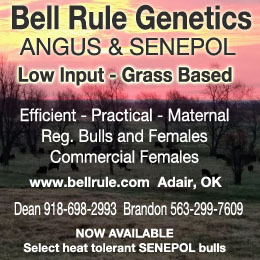 These lower-input systems allow producers to develop replacement heifers at lower cost without sacrificing reproductive performance. This publication highlights why recommended target weights for replacement heifers have changed and key aspects of successful low-input replacement heifer development systems. Much of the research recommending heifers be at a target weight of 60 to 65 percent of mature weight by breeding was conducted from the late 1960s through the 1980s. Since then, the genetic makeup of the U.S. cowherd has changed significantly. Age of puberty does not seem to be limiting heifer development programs as it did in the past. Heifers are reaching puberty at younger ages and at a lower percentage of their mature weight than has occurred historically. Fundamental changes to the U.S. cattle industry include the now common management practice of heifers being bred as yearlings and calving for the first time as 2-year-olds, rather than calving as 3-year-olds. Over time, this practice has indirectly selected for heifers that reach puberty at an earlier age lower percentage of mature weight. Increased scrotal circumference in bulls. Average yearling scrotal circumference EPD for most breeds has increased significantly since the 1980s. Scrotal circumference in bulls moderately correlates with age at puberty in heifers. As average scrotal size increases, heifer age at puberty decreases. Selecting yearling bulls for larger scrotal size may have indirectly resulted in decreasing the average age heifers reach puberty. Increased mature cow weight. Major U.S. cattle breeds have been selected for larger yearling weights, resulting in heavier mature cows. However, increase in mature cow size has not resulted in heifers delaying puberty to larger weights. Consequently, heifers are reaching puberty at a lower percentage of mature weight than in the past when mature cow weights were lower. Timing of body weight gain. Timing when body weight gain occurs in replacement heifer development can reduce development costs. Heifers developed to 50 to 57 percent of mature weight at breeding can still achieve acceptable pregnancy rates (80 to 95 percent during a breeding season ranging from 45 to 70 days ) if the period of slower weight gain is followed by a positive energy balance prior to and through the breeding season. 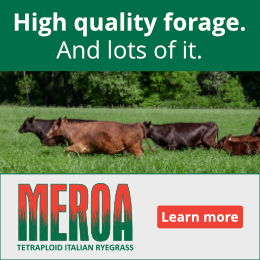 Heifers developed on crop residue or native range at low rates of gain have demonstrated compensatory gain in the spring when placed on higher quality forage. When this compensatory/higher rate of gain coincides with breeding, either A.I. or natural service, it appears to benefit conception and maintenance of pregnancy. These research results contrast results of heifers developed in a drylot on moderate to high rates of gain through the winter. When placed on forage prior to or during the breeding season, heifers previously on a moderate to high level of gain often experience minimal weight gain, or in some cases, weight loss, for several days while adapting to this new forage resource. This neutral or negative nutritional change occurring around breeding may negatively affect conception rates and/or maintenance of pregnancy. An appropriate level of nutrition immediately prior to breeding and continuing through subsequent calving is required for low-input developed heifers to experience compensatory gain and attain sufficient size and body condition. This allows them to successfully calve and rebreed. Providing adequate nutrition during this phase has shown rebreeding rates as 2-year-olds to be equal to or greater than heifers that received higher energy during development and were a larger percentage of mature body weight at breeding. Body condition at calving should be 5 or greater. Many producers using a low-input replacement heifer development system retain all potential replacement females and expose them for a short (45 days or less) breeding season. Remember, as the breeding season is shortened, fewer heifers will likely become pregnant. Retain more heifers than needed for replacements to determine how heifers will respond to a lower-input development system. Non-pregnant heifers grown in a low-input development system can be a profitable commodity as they can be marketed as feeders. Heifers developed on low-quality forage often require protein supplementation to more effectively use this feed resource and meet nutritional requirements. Avoid feeding excess protein when energy is limiting because it can negatively affect reproduction if this occurs immediately prior to or during the breeding season. Monensin (Rumensin®) and lasalocid (Bovatec®) are ionophores approved for growing heifers. Ionophores affect the microbial population, increasing the efficiency of forage digestion. Research has shown either of these compounds in replacement heifer diets can decrease age at puberty and increase conception rates. In addition, ionophores can increase daily gains by 0.1 to 0.2 lb/day depending on the quality of the diet. Heifers developed in an intensive system of high energy feeds often can be fed to a body condition score of 7 or greater at first breeding. Heifers over-conditioned at their first breeding may perpetuate the need for a higher level of body fat (requiring more feed resources) to breed back as 2- and 3-year-olds. Yearling heifers with a body condition score 5 at their first breeding are more likely to be fertile and conceive at a similar body condition score as 2- and 3-year-olds. Overfeeding heifers prior to breeding increases heifer development costs and may have a detrimental effect on heifer longevity. Replacement heifers developed on forages (often low-quality) that they will consume as cows often are better adapted to their environment than heifers in intensive development systems. Grazing is a learned behavior, which suggests that heifers developed on grazed forages may acquire more experience consuming forage, allowing them to better use these same feed resources as cows. Intensively developed heifers appear to undergo a learning and adaptation phase when introduced to forages. This can coincide with a time when they are already nutritionally challenged as growing yearling heifers being bred for their first calves. Current research validates the importance of nutrition prior to and through the breeding season to achieve acceptable pregnancy rates for heifers developed in a low-input system. Many cow-calf producers have moved to later spring calving to decrease labor, increase flexibility in marketing calves, and decrease harvested feed costs. This shift to later spring calving has resulted in heifers being bred in mid to late summer on pasture and rangeland where forage quality is often decreasing. These heifers, while adequate in size and age for breeding, often have decreased pregnancy rates. A recent study demonstrated supplementing heifers during a late summer breeding season with a protein supplement (1 lb/hd/day of a 30 percent crude protein cube containing Rumensin®) on native range resulted in 20 to 25 percent greater pregnancy rates than heifers not receiving the supplement. When breeding occurs during decreasing forage quality, protein supplementation prior to and during the breeding season may be important to the success of the heifer development system. We have more on this topic in this recent article “Skinny Cows Make Fatter Calves.” Click to check it out. Development systems targeting 12- to 14-month-old heifers to be at 50 to 57 percent of mature weight at the time of breeding can result in acceptable pregnancy rates. These systems must employ adequate nutrition prior to and through the breeding season. These heifers need to experience compensatory gain from breeding to calving to ensure adequate size and body condition to calve and rebreed successfully. Development systems using lower-quality forages allow heifers to be developed at lower costs than intensive development systems. When changing to a lower-input system, initially retain more replacement heifers than needed. This will help determine how herd genetics will respond to a reduced nutritional environment during development. Endecott, R.L., R.N. Funston, J.T. Mulliniks, and A.J. Roberts. 2013. Implications of beef heifer development systems and lifetime productivity. J. Anim. Sci. 91: 1329-1335. Funston, R.N., J.L. Martin, D.M. Larson, and A.J. Roberts. 2012. Nutritional aspects of developing replacement heifers. J. Anim. Sci. 90:1166–1171. Disclaimer: Reference to commercial products or trade names is made with the understanding that no discrimination is intended of those not mentioned and no endorsement by University of Nebraska–Lincoln Extension is implied for those mentioned. Nice article…coincides well with work the Kerr Center did many years ago. Most wild ruminants females in the US are ‘on the gain’ or ‘in positive energy balance’ coming into the breeding season…..the translation to cattle should be the same…ie ‘natural model’. This article is obviously written for spring calving herds. What is the thought process and management philosophy for developing low input fall calving heifers? We agree wholeheartedly with the smaller breeding size for heifers and developing them so as to take advantage of compensatory growth in the spring. However, we have been leaving the heifers on their mothers and not weaning until 9-10 months of age. There is no more perfect food than mother’s milk and she can give it to her much cheaper than we can supplement the heifer! Our breeding rates for heifers have not been compromised, our cost of developing them is GREATLY reduced, they have constant “cow” supervision so they learn to become foragers, no ill effects on the mother’s raising them, AND research shows that nursing for that long can help the heifer’s rumen develop to its full potential. We want our cows to be efficient foragers so this is highly important to us. I’m not much of a sheep person, but what this article says sounds an awful lot like flushing ewes. I have two comments: 1) Why use the ionophores at all (lovely word? Why not grow good forage? And why put heifers on low-quality forage at all? “Average quality” maybe, but low-quality? I know one person who raises excellent Angus and uses Rumensin. That person also set-stocks pastures and the cows/calves are “eating roots” by fall.